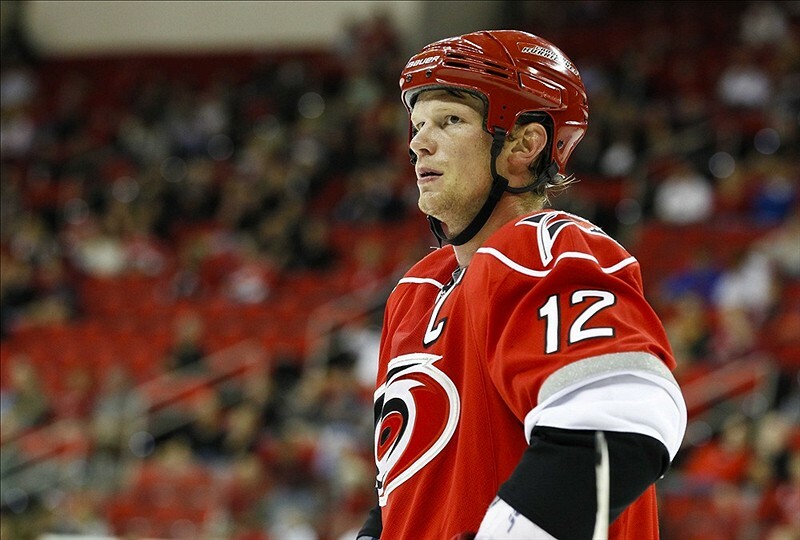 Toronto Maples Leafs: Is Eric Staal Worth the Cost? Toronto Maple Leafs: Is Eric Staal Worth the Cost? Eric Staal is coming to Toronto or at least that’s how some Leafs fans have interpreted the news. As reported in several places yesterday, Eric Staal is open to the idea of joining the Leafs. He’d have to waive his no-trade clause to make this happen, but that’s a mere formality at this point. In other words, he’s willing to do it and that’s enough for some Leafs fans. Lost in all the craziness, however, is one very important question: would this trade actually benefit Toronto? 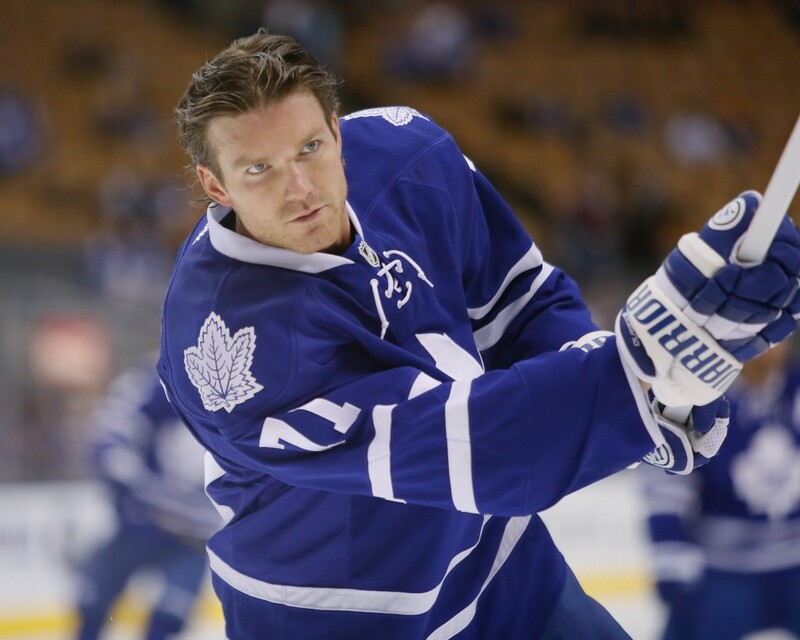 At 29 years of age, Stall is still an attractive option at centre, but his prime years might be beyond him. He’s best known as the baby-faced kid who helped the Hurricanes win their first and only Stanley Cup in 2006. That was eight seasons ago and a very special one for Staal, who collected 100 points (45 goals, 55 assists) in 82 games. Since this magical run, the general trend in terms of Staal’s production has been downward: he’s generally hovered just above, at or below the point-per-game mark, but last season he fell to 61 points (21 goals, 40 assists) in 79 games. If this proves the new norm for Staal, it means he’s not a clear upgrade over Tyler Bozak or Nazem Kadri – the top two centremen on the Leafs’ depth chart – when we’re talking points. There’s a level of maturity and experience Staal possesses that escapes the two Leafs, but that’s about it and it comes at quite the high cost, too. Two years (including the present one) at the respective base-salary costs of $9,250,000 million and $9,500,000 million remain on Staal’s current contract. That’s a lot of dough. Carolina would almost certainly have to eat some of this contract but the Leafs, pressed up against the very top of the salary cap limits thanks to David Clarkson, would have to create some room, too. 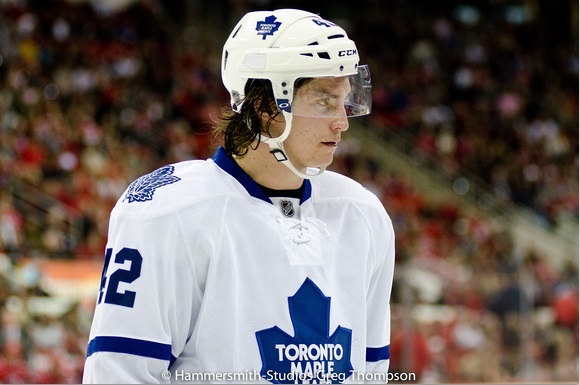 Does this mean moving Bozak and his very reasonable contract in return? Bozak has four years left on his contract (including the present one), which would hand the advantage to Carolina. If the Hurricanes are looking for a temporary replacement or someone young who can grow into Staal’s old role, what are the options? Kadri? William Nylander? At this point in the surprisingly long NHL career of Staal, that’d be like trading a delicious, ripe apple for next season’s apple seeds. It doesn’t make sense. Finally, if there’s one overall factor working against the Staal trade talk, it’s the Clarkson contract. The Leafs can’t afford the financial or reputational costs of another blunder like this. In an odd way, this becomes Clarkson’s greatest contribution to the Leafs: restraint in the face of stupidity from the management team.